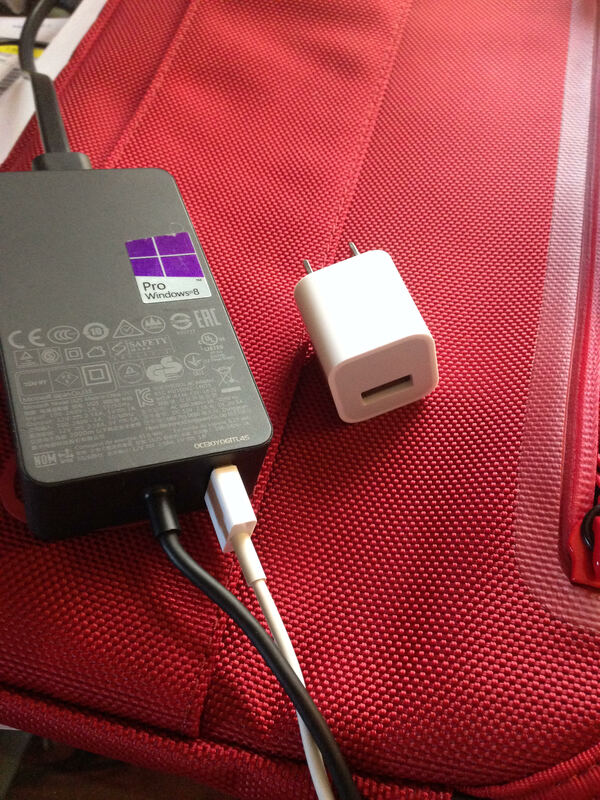 I’m loving the additional USB port on the Microsoft Surface Pro 3 Power Supply. Plug your phone or headset into the USB 2.0 port to keep your other devices charged and ready to go at the same time as your Surface Pro 3. 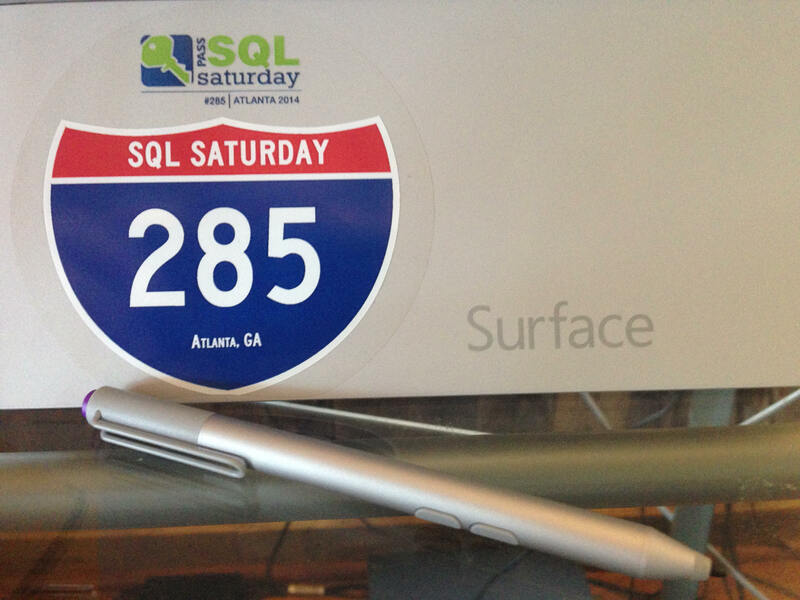 Back in August 2014 I decided to get a Microsoft Surface Pro 3 and mother was in need of a new laptop as well so we went together to investigate at the Microsoft Store in the Lenox Square Mall in Atlanta. Needless to say we pulled the trigger and made the purchases. Thanks Mom! 🙂 We both went with the Surface Pro 3 – 256GB / Intel i5 to get the version with 8GB RAM. I felt like I wanted the extra RAM for SQL Server and I’m glad I did. Over the past months this machine has been my laptop and tablet; I have still been using the iPhone for phone/email. I have added a few links below to help with the over experience be easier for other DBAs. I had no problem the first evening installing Microsoft SSMS 2014 and Visual studio 2012 from my ISO files. I also went ahead and added Red-Gate developer tools and SSMS Tools Pack. The installations went super fast with the SSD onboard. 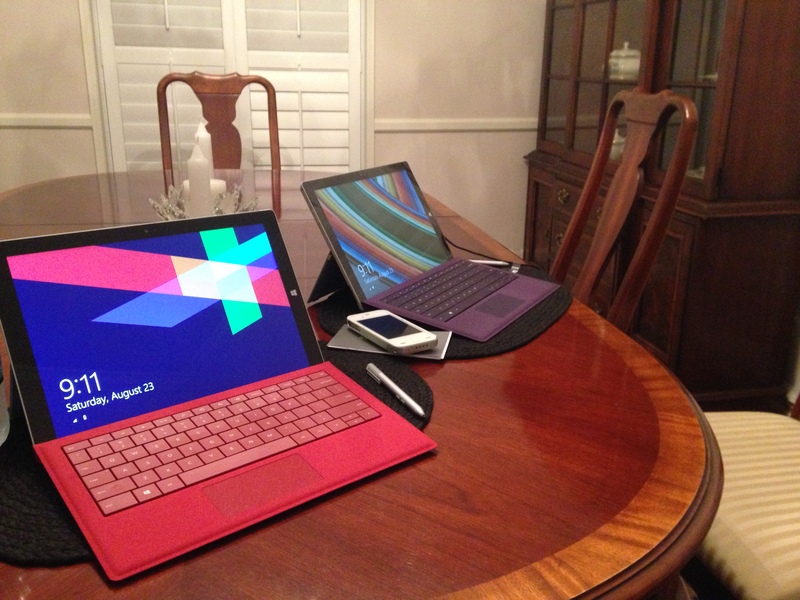 If you are hoping that the Surface is going to satisfy your need for apps; think again. Microsoft is lacking the apps in the marketstore. The big ones are there but I use the IE web for mostly everything and if you can install your everyday software. At home I had an exisiting KVM IOGear Extreme 4 port KVM which got me the keyboard and mice working right away. I also had a small issue with the WiFi not working automatically connecting after I enable the Hyper-V. Hyper-V functionality in Windows 8.1 doesn’t play nice with Surface Pro 3’s Connected Standby. Article: Surface Pro 3 Tip: Hyper-V vs. Connected Standby. So I have some saved batch files to enable and disable WiFi and Hyper-V. Magnets in this Cover connect with magnets in Surface Pro 3 to add stability when you’re typing on your lap. Like Type Cover 2, this Cover has backlit keys, with keys on the left side of the top row of keys to control keyboard brightness. Microsoft Surface Pro 3 Full Review: Is It Good for Business? The Surface Pro 3 is a very good Windows 8.1 device I would recommend it to any DBA for home and business use. I’m also excited to see it working with Windows 10 Tech Preview.